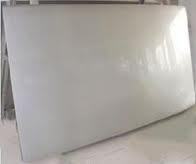 Manufacturer of a wide range of products which include ss 904l grade uns n08904 plates, stainless steel plates, ss 304 grade uns s30400 plates, ss 304l grade uns s30403 plates, ss 316 grade uns s31600 plates and ss 316l grade uns s31600 plates. 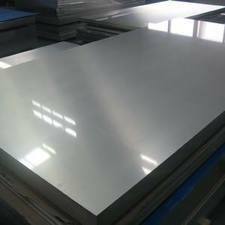 SS 904L Grade UNS N08904 Plates is a non-stabilized low carbon high alloy austenitic stainless steel. The addition of copper to SS 904L Grade UNS N08904 Plates gives it greatly improved resistance to strong reducing acids, particularly sulphuric acid. SS 904L Grade UNS N08904 Plates are also highly resistant to chloride attack – both pitting / crevice corrosion and stress corrosion cracking. 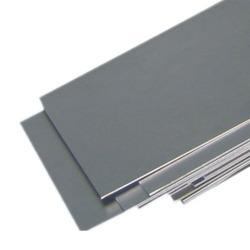 SS 904L Grade UNS N08904 Plates is non-magnetic in all conditions and has excellent weldability and formability. The austenitic structure also gives this grade excellent toughness, even down to cryogenic temperatures. 0. 5 mm to 200 mm thick in 1000 mm to 2500 mm width & 2500 mm to 12500 mm length available with nace mr 01-75. Type 304 Stainless Steel has excellent welding and deep drawing characteristics - it is easy to fabricate, easy to clean and aesthetically pleasing to the eye. 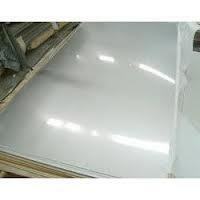 As a result,Type 304L stainless steel is a sort after material for use in severely corrosive conditions. Weld annealing is only necessary in applications where stress loads are excessive. This steel Grade is found in a variety of commercial sectors, particularly in the chemical industry. After 304, this is the most common stainless steel on the market. Again it is an austenitic grade with the addition of 2–3% molybdenum which further improves corrosion resistance. It is often referred to as a marine grade stainless steel because of its effective resistance to chloride corrosion in comparison to other stainless steel grades. The material is widely used in heavy gauge welded components and weld annealing is only required where the material is for use in high stress environments. 316L has an extensive variety of uses especially in marine applications due to the materials high corrosion resistance. Type 321 is a standard austenitic 18/8 chromium nickel alloy with the addition of Titanium making it an excellent choice in elevated temperature environments. The titanium stabilizes the material removing its susceptibility to the effects of intergranular corrosion. 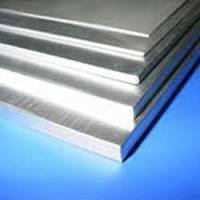 321 is therefore the stainless steel material of choice for applications in working environments up to 900° C.
A comprehensive range of steel sheet is manufactured by us which is made as per the requirement specifications given by the clients. Designed with high precision these tubes are engineered with premium quality stainless steel of type 309S/310S grade. Specifying all the industrial standards, these tubes are offered in various forms like round, square, rectangular coil & U-shape. 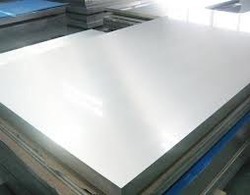 SS 310 Grade UNS S31000 Plates austenitic stainless steel plate is typically used for elevated temperature applications. Its high chromium and nickel content provides comparable corrosion resistance, superior resistance to oxidation, and the retention of a larger fraction of room temperature strength than the common austenitic Alloy 304.Stainless Steel 310/310S is an austenitic heat resisting alloy with excellent resistance to oxidation under mildly cyclic conditions to 2100ºF. Its high chromium and nickel contents provide comparable corrosion resistance, superior resistance to oxidation and the retention of a larger fraction of room temperature strength. Typical Applications Grade 310/310S is used in fluidized bed combustors, kilns, radiant tubes, tube hangers for petroleum refining and steam boilers, coal gasifier internal components, lead pots, thermowells, refractory anchor bolts, burners and combustion chambers, retorts, muffles, annealing covers, saggers, food processing equipment, cryogenic structures. Alloys 316Ti (1.4571) Similar to Grade 316L except that 316Ti has better high temperature strength, and mechanical strength. Used for equipment exposed to aggressive corrosive conditions and high temperature applications,including automotive flexible connectors, welded bellows, chimney liners, and flexible ducting. Grade 316Ti stainless steel has been traditionally specified by German engineers and users with the Werkstoff number 1.4571.The former steel grade in the UK was 320S31. Type 304L is a lower carbon variant of Grade 304L the steel can be welded without the resulting issue of carbon precipitation (precipitation of chromium carbide as heat is applied during the welding process which depletes the chromium element of the steel thus reducing its anti-corrosive/oxidation effectiveness). Benefits of using 304L Stainless Steel Low carbon content eliminates carbon precipitation in the welding process Can be used in severe corrosive environments Weld annealing only required in high stress applications Very similar to Type 304. 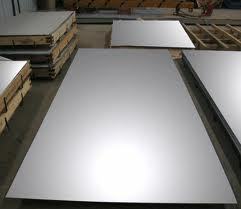 The 321 Stainless Steel Plates that we offer are similar to 304 Stainless Steel Plates. These also contain Titanium, which makes it an excellent choice for prolonged high temperature applications. The addition of Titanium in 321 Stainless Steel stabilizes it against the formation of Chromium Carbides in heat range of 800 to 1500 Degrees Fahrenheit.